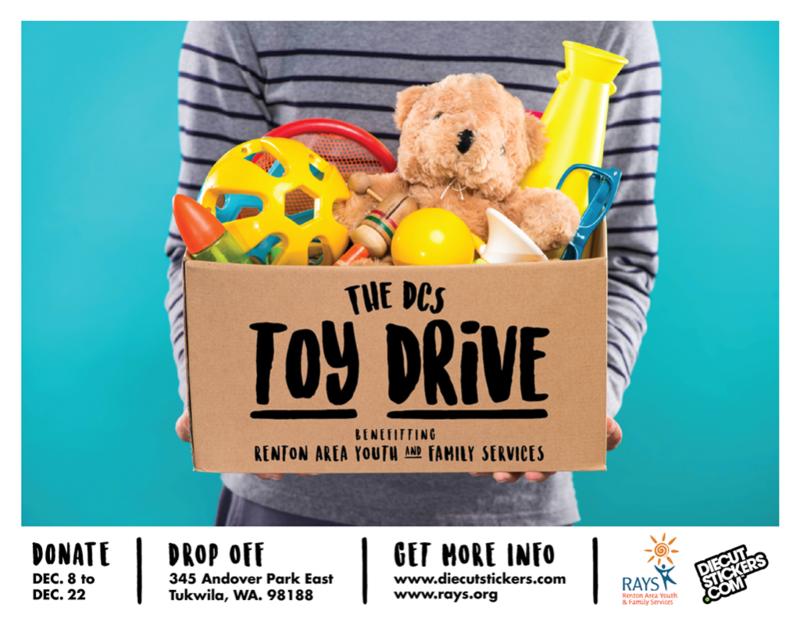 Holiday Toy Drive Benefitting R.A.Y.S. The holiday season is here and unfortunately for many that means disappointment, sadness, and the unacceptable absence of joy. That's why we're teaming up with (RAYS) to help spread the holiday spirit to children in our region. Now through December 22nd we'll be collecting unwrapped toy donations and gift cards to be handed out directly to kids in need. You can help by dropping off your own donations at our HQ anytime Monday through Friday, 8:30am to 5pm. The mission of R.A.Y.S. is to strengthen the lives of children, youth, and families by restoring hope and stability in the face of emotional conflict, substance abuse, and poverty. Visit them to get more info on how they help struggling families and see how you can get involved.